Who knew back in 1981 when two single women decided to start the Shoreline Sailing Club (SSC), that it would continue to flourish and be responsible for many marriages, lifelong friendships and a social life that’s unstoppable, 37 years later? 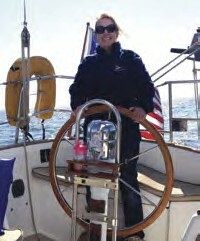 The Shoreline Sailing Club offers a variety of activities. There are daysails, weekend overnights, and weeklong cruises.